You’ve worked hard to set aside money to retire comfortably, but a major medical event could eat up decades of savings in just a few years or even months. Custodial care can cost $80,000 a year or more. Nursing-home care can drain $250,000 from retirement savings in just a few years, and with base costs averaging more than $40,000 a year, assisted living can also be a financial drain. For those inclined to stay at home, costs still run north of $25,000. But there are ways to help protect those assets, even if a health crisis occurs or long-term health care costs mount. The first step is to plan ahead for health care premiums. Financial planners typically add cost-of-living increases of 2-3% a year when they determine how much a client needs in retirement savings. But the same doesn’t hold true with health care premiums, which tend to rise at a higher rate each year. Individuals should not be passive about their health care plan. You have to find the soft spots in the plan. If the health insurance plan is from an employer, understand it well and don’t just pick one because it’s the lowest premium. Note how much you might have to pay in out-of-pocket expenses, the amount of the deductible and the maximum coverage. The lifetime maximum coverage amount is particularly important to review. Before retirement, a long-term care policy of some sort and a solid health care insurance policy with all the gaps filled need to be considered. After the fact, it’s extremely hard to do that and get the coverage you need. That’s especially true of long-term care insurance policies, which need to be locked in before a pre-existing or chronic condition may disqualify applicants. If a younger person needs long-term care because of a medical trauma, it can deplete the retirement savings of parents if they need to help out with the costs. For that reason, it can make sense to buy policies when you’re in your 40s. Generally, 50 is the age recommended to start coverage in order to pay the lowest premium for the shortest amount of time. In 2012, 82% of all long-term care insurance policy buyers were under age 65, according to the financial research organization LIMRA. And, most likely because of longer life expectancy, women make up 57% of long-term care insurance purchasers, according to a 2012 LIMRA study. The American Association for Long-Term Care Insurance states that an average annual premium for a 50-year-old buying a long-term care insurance policy was $2,235 in 2012. That’s for a policy that covers up to $200 a day for three years. The association’s research found that 50% went for in-home care, 31% for nursing-home expenses and 19% for assisted living. 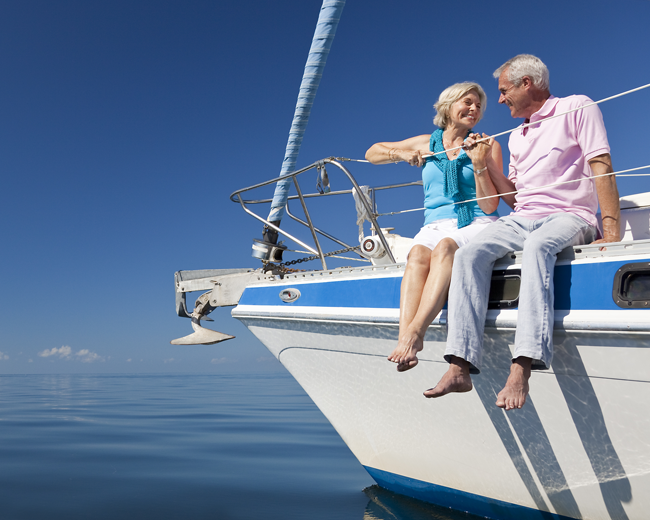 Long-term care insurance is best for people who have $250,000 to $3 million in assets to protect. For those with more than $3 million in assets, the cost of care could be covered with savings. Someone with less than $250,000 in retirement savings will likely deplete it quickly if long-term care expenses arise. When that happens, the safety net of the federal- and state-funded Medicaid program kicks in. “No matter what type of nest egg you’ve built, long-term care insurance can be an excellent tool to protect your choice of care or transfer the risk associated with the care. For veterans, it pays to understand the Veterans Administration benefits available. For instance, veterans with a service-related disability are often eligible for treatment at VA hospitals and clinics, along with drug benefits. This can help control out-of-pocket medical costs even if a person already has health insurance. Many military retirees have insurance through TRICARE, the Defense Department-backed health insurance program. When a TRICARE member hits 65 and Medicare becomes the primary insurance, TRICARE for Life kicks in as the secondary insurance closing most of the gaps.